Visual Studio Code>Programming Languages>Elvish langNew to Visual Studio Code? Get it now. Basic syntax highlighting for Elvish shell in VSCode. 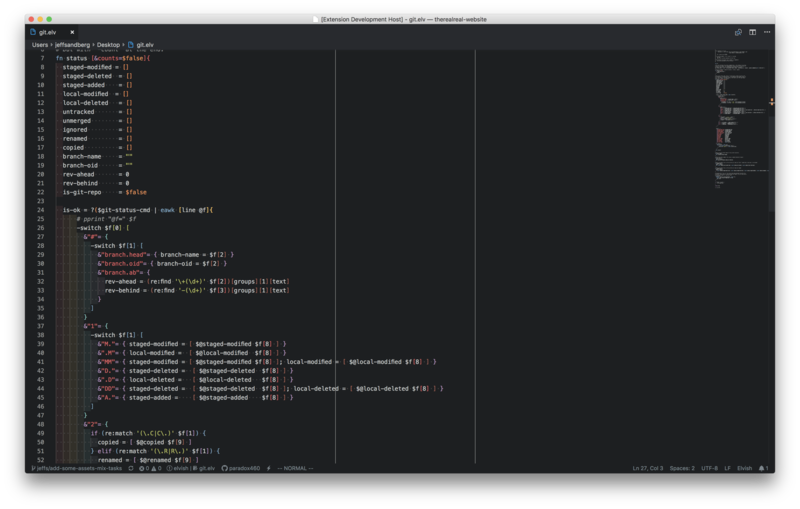 Borrowing heavily, but not completely, from the Atom language-elvish plugin.